Both quotations sufficiently illustrate the difficulty that defies anyone who asks a seemingly simple question as, where and when did the blues appear? The wording of the question is already misleading as it infers some sort of static event, as if there has been “a first”, a “birth” where somebody could claim himself to be the ‘Father’, as W.C. Handy has done in his autobiography. The blues are the exponent of a unique historical process; some even say that it helped to shape this process of which it was a result. The blues speak of the experience of a black people that was deported as an inhumane object to a culture that was totally foreign and alien to its own. Out of this confrontation between cultures which had very little, if nothing in common, resulted gradually, following a specific socio-economic evolution, a truly amazing new cultural product: the blues. They are however so much more than music; one could reasonably even doubt whether the music is the most essential dimension of the blues. The blues are also a language, a poetic and lyrical form, a philosophy, a survival kit, a way of life, a vision, … They are a unique blend of the individual’s emotions and life experience reflecting at the same time the experience of the group the performer belongs to…. When I listen to blues, my heart is touched. At the same time however, the reading of the historical background of the blues touches me intellectually, and fills me with a tremendous admiration for one of the greatest cultural forms of art of the twentieth century. If, like me, you want the blues to touch you not only emotionally but also intellectually, then you have come to the right place. Allow me to indulge myself, through the essays that I present you here on a regular basis, in exploring how this truly American art form has come about. How the voice of the ‘chattel property’ has gradually managed, via complex processes of acculturation and adaptation, to sound louder than the voice of the “massa”. How, at the end of the day, this music has conquered the world cultural scene. Join me on my historical journey back to the arrival of the first slaves in Virginia, and my exploration of how their culture, completely ignored and not understood by the white colonist, culminated in a musical genre that has impressively manifested its universal appeal and openness to ever changing conditions and influences. My essays do not follow an historical time-line, but are written following associations that arise when perusing my documents. Also, some do not bear a direct relation with the blues, but help nevertheless to clarify events or evolutions which I consider relevant to understand the broader context in which the blues emerged. It is finally rare that you will find biographies of individuals and their music. Other writers are much better in this and plenty of documentation is available elsewhere. If you are looking for a diverting way to find out something more on where the music comes from that you love so much, then I invite you to browse through my writings. But remember, blues is personal, so is the interpretation of its evolution! The pic of Son Houe pretty much sums it up. Blues is what they is! Better late than never! Don’t forget that there’s more than the so-called Delta stuff. It’s complicated! Congratulation. I Wish you all the best. My partner and I really loved reading this blog post, I used to be simply itching to know do you trade featured posts? I’m always looking for somebody to make trades with and merely thought I’d ask. Thanks Brother lookn fwrd to checkn out ur stite U definately struck a CORD so to speak. Nice meeting you Mr. Erwin Bosman-great site. Please keep me in the loop on what you have going on. 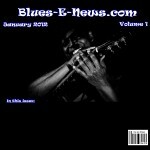 Here is a link to my site where I have a few blues videos that you might like. N-I-C-E! You got my favorite artists up, EB!!!!! My neighbor and I were simply debating this specific topic, he’s usually seeking to prove me incorrect. Your view on this is great and precisely how I actually feel. I just now mailed him this site to show him your individual view. After looking over your website I e-book marked and shall be coming back to learn your new posts! Useful information. Lucky me I found your site accidentally, and I am surprised why this accident didn’t happened in advance! I bookmarked it. Great post. I was checking constantly this blog and I am impressed! Very helpful info specially the last part 🙂 I care for such information much. I was seeking this certain information for a very long time. Thank you and best of luck.